Main Point: I will help my friends do what is right! 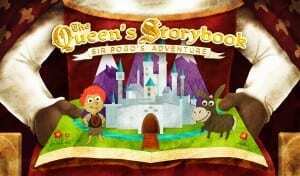 I’m so glad you are spending time at my castle as I share stories with you from my Storybook! This weekend I shared about Sir Pogo the Knight and Darrin the Daring Donkey on a quest for the third piece of the armor of God. While searching for the shoes of peace, they learned all the berries had been stolen from the High Mountain Berry Festival! After talking with the Mayor, Sir Pogo and Darrin continued looking for the shoes when they met the Berry Bandit. The Berry Bandit wanted the people in the village to play a game of hide and seek with him, but they were too busy getting ready for the Berry Festival. The Berry Bandit took all the berries so everyone would start looking for all the berries and him! Instead of helping the Berry Bandit do what was right, Sir Pogo and Darrin continued their search for the shoes of peace. They received a message from the Queen about the story of David and Abishai from the Bible. David helped his friend Abishai do the right thing! King Saul was trying to hurt David, so he ran away, but King Saul and his army chased him. One night while King Saul was sleeping, David and Abishai went to King Saul’s camp. Abishai wanted to hurt King Saul, but David told Abishai to not harm the king. It would have been wrong if David let Abishai hurt King Saul. David helped his friend do what was right by not letting him hurt King Saul. Just like David, we can always help our friends do what’s right, too! Sir Pogo and Darrin learned they should help their friend Berry Bandit do what was right, just like David helped Abishai do the right thing. Sir Pogo went to find the Berry Bandit and tell him it was the wrong thing to steal all the berries. The Berry Bandit did the right thing by returning all the berries. The mayor rewarded the Berry Bandit by letting him be in charge of the games and gave Sir Pogo and Darrin the shoes of peace for learning to help their friends. When we put on the shoes of peace, we follow what the Bible says and tell others about Jesus everywhere we go! By helping the Berry Bandit do what was right, Sir Pogo and Darrin were wearing the shoes of peace! When we help our friends do what is right, we are following the Bible and living like Jesus. See you next weekend at the castle for another story about Sir Pogo and Darrin the Daring Donkey! And don’t forget – there are only five more weeks until the Royal Ball! It’s going to so much fun celebrating with you!